Thank you for visiting our site and coming to find out what we’re about. Sometimes I get phonecalls from women wondering if we’re real, it doesn’t read like a scam, but they just want to make sure. If that’s you, that’s ok – I understand your need for checking first. My personal page is here and below are more links and information about me. The blog is about being a VA, or using VAs in your business. So lots of tips and information, plus personal observations from me during my years as a Virtual Assistant. I believe it’s important to be actively involved in the industry as well as guide others in the industry. And what is a Virtual Assistant? In essence, we are like the corporate world PAs or EAs except we operate on a virtual basis, servicing many clients rather than supporting one boss or a project team in one office. To be the household name for secretarial and admin support for small businesses. To make secretarial and office support within easy reach of all small and home-based businesses throughout the world. My business was registered on National Secretaries Day in March 1994. The business was created as a home-based secretarial support service in 1994. Never liking to say ‘no’ to a client, there were times when Kathie was overflowing with work and sought out others who were home-based, with suitable computers, who could take on overflow work. Some of these people required training as they didn’t have all the skills required and Kathie invested her time in coaching and mentoring so that work could be carried out as efficiently and confidently as possible. This was the start of her network and as the Virtual Assistant industry developed the business changed its focus from entirely secretarial to administrative and other services, to encompass the virtual needs of all clients. Today our membership currently expands several countries in multiple languages, however this does fluctuate. History of the Virtual Assistant Industry, or should we say ‘History of the VA Networks’?. No-one knows the exact date of the birth of the industry. We do know that Business Coach, Thomas Leonard, founder of CoachU and the ICF, called his remote assistant, his Virtual Assistant and Stacey Brice is therefore credited with being the first called a Virtual Assistant. A small group of women around the world, mainly the US and in Australia began providing secretarial services via the Internet from their home-based secretarial support businesses. This was around 1995-96. As Stacey shared this term with others, it began to take on an identity of its own and the Virtual Assistant Industry was birthed. The first online services were http://www.homesecretary.com based in Los Angeles, USA and http://www.asecretary.com.au, based in Melbourne, Australia. Both went online in January 1996 but had been operating offline for quite sometime prior to then. The Australian based business now uses a global domain of http://www.vadirectory.net but the Australian domain is still active and points to the same site. (As an aside, my very first domain was http://www.ozemail.com.au/~kmthom and you can check this on the wayback machine archive – it does show up for 1996). Today there are both men and women in the Virtual Assistant industry in many countries and the industry continues to grow and develop as technology also grows and develops. You may have already noted that many claim to be the first network, or the original ‘VA’. The UK/European magazine Executary International noted this very same thing in an article about the Industry in the Spring 2000 issue. It is difficult to ascertain when things really did start but you can be sure that there were several operating home-based secretarial services around the world in the 1980’s, although very few networked, with the first online operators in the mid 1990’s, along with the first online networks. With the change in technology and shifts in what can be achieved on a computer, home-based secretaries updated their skills and service provision and became known as Virtual Assistants. The introduction of the Internet to this service industry meant changes to the way we operated and also in the services provided. It also means that clients could be much further afield and easily serviced via email and web, as well as fax, phone, mail and courier as had been done previously. It meant that often things could be delivered more quickly and more efficiently. Multiple articles published since 1994, including: Small Business & Home Based Income Magazine, Readers Digest (Australia), major newspapers in Australia, Executary Magazine, UK and many online publications. You can see some of them on my articles page. 24 March 1994 – A Clayton’s Secretary registered on National Secretaries Day. January 1996 Kathie joined the internet and ‘met’ Linda Anderson of Home Secretary. Linda had already built a network of home based secretaries in LA since the 1980s and went online not long before Kathie found her website. Between Jan and Mar 1996 she received a number of emails from women who found her website and who wanted to do what she was doing – consulting her Accountant she chose a membership based network structure. April 1996 launch of network on website and with first members accepted, including Linda Anderson from the US and a couple of ladies in Australia. Later in 1996 First discussion forum online established for the network. 1996 – 1998 more members joined. asecretary.com.au was registered. By last half of 1998 members were in several states of Australia, plus UK, USA, India. 1998 – began producing a regular monthly newsletter (ACS News) promoting the network to clients and other readers. This was mailed and wasn’t emailed to a list until 2000. Mid 1998 – ACS Logo used on newsletter for first time. July 1998 – Kathie was accepted as a regular contributor and began writing regularly for the Home Based Income and Small Business magazine and wrote for every issue for many years about our industry. Knowledge of our network was spreading throughout Australia and beyond. 1999 – Kathie nominated for Australia Achievers Award for services in Melbourne to clients and won – first award for the business. Have since won several more awards, as have many members of her team. 1999 – Another VA network is established in Australia. 2000 – ACS News went online to a subscription list. 2001 – Trademarked A Clayton’s Secretary, logo and byline later trademarked. March 2001 – Accredited Secretary Online is launched (in keeping with the business name) – same time as VACertification.com. Fred Gandee and Kathie spoke on the phone only a short time later – neither knew the other was working on these programs but both shared the same thoughts about the professional development of the industry. They kept in touch on a regular basis and she was added to the board of certifiers for VACertification.com. 2005 – Began blogging for the site. 2006 – Launched VATrainer.com to formalise what Kathie had been doing for years in an ad-hoc manner. 2009 – A new logo is adopted to match the domain vadirectory.net which is also now a registered business name. As at 2012 there are 4 Virtual Assistant groups in Australia. 2012 – Establishment of the Australian Virtual Assistants Association (AVAA), an NFP industry body. This is a result of two years of discussions and negotiations with a similar body in the US and it was recognised that we also need such a group here in Australia. 2016 – Kathie stepped down as President of AVAA but continues on as a support in the background. Kathie M. Thomas pioneered the Virtual Assistant industry in Australia and established the first VA network in the southern hemisphere. Through a desire to work at home and be present for her family of 5 daughters, she registered her business in March 1994 and took it online in January 1996. Kathie has written many articles online and has been published in books and magazines. Google will give you more links too. 2000 Highly Commended Australian Achiever Award for Office, Secretarial & Desktop Publishing Services. 1999 Australian Achiever Award – Melbourne Secretarial & Word Processing Services, Winner. 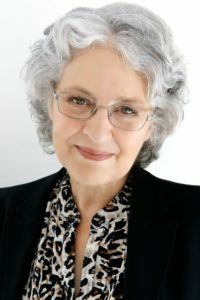 Kathie M. Thomas was awarded ‘Member of the Year’, Victoria in 1993 by the Institute of Professional Secretaries (IPSA) and was runner-up for the National Title. Microsoft sponsored this award and it was because of the prize package that Kathie decided to set up a home based business – not knowing what might be in store for her.